SkyView brings stargazing to everyone. 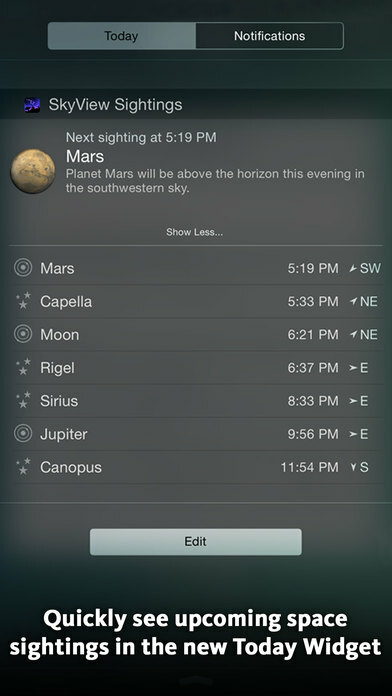 Simply point your iPhone, iPad, or iPod at the sky to identify stars, constellations, planets, satellites, and more! 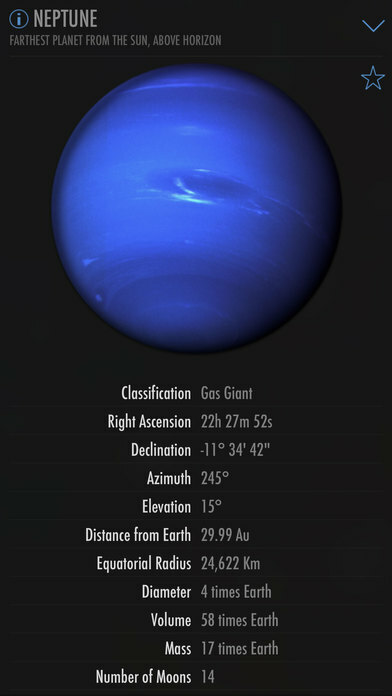 You don't need to be an astronomer to find stars or constellations in the sky, just open SkyView and let it guide you to their location and identify them. 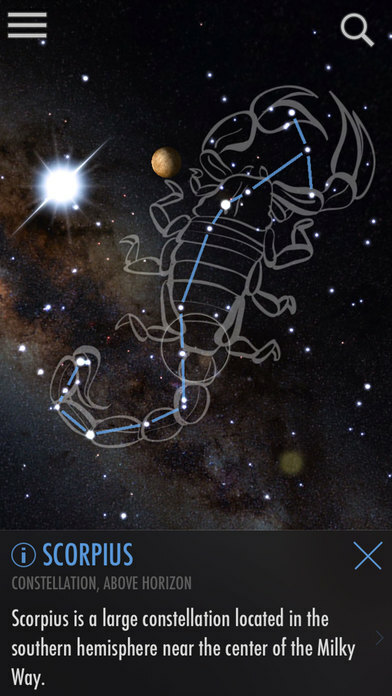 SkyView is a beautiful and intuitive stargazing app that uses your camera to precisely spot and identify celestial objects in sky, day or night. Find all 88 constellations as they fade in and out while you scan across the sky, locate every planet in our solar system, discover distant galaxies, and witness satellite fly-bys. This is our big end of the year update that takes advantage of new iOS9 features, Spotlight and 3D Touch! To use Spotlight, just swipe down on your home screen and search for your favorite celestial object like Gemini, ISS, Capella, or Orion. When you touch a SkyView search result, SkyView will open and select the object. I think most people are fascinated or appreciate the beauty of the night sky. People have this innate fascination with twinkling lights and things that glow otherwise kids wouldnt like "glow in the dark" stuff and holiday lights wouldnt sell.